If you are like me, you are most likely overwhelmed by the massive amount of products and services out there and only want to know the best tool available for wat you need to accomplish. 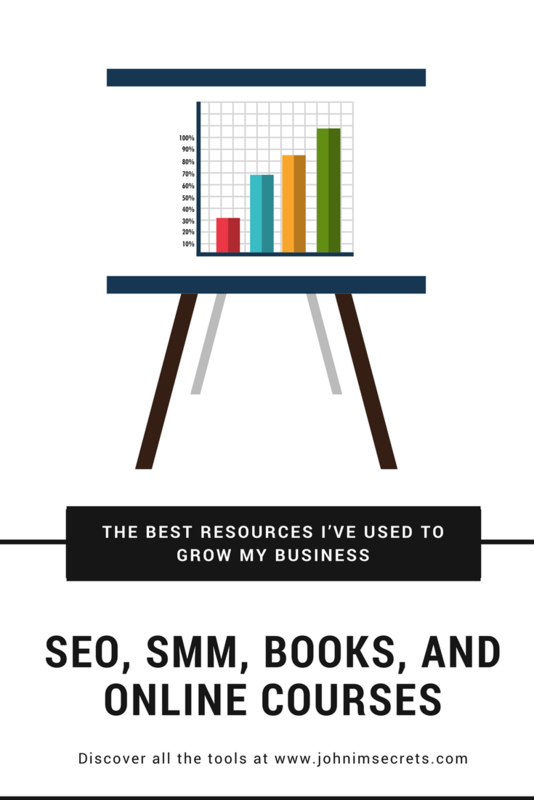 I've tried so many, I decided to list the best tools and resources I've used and have helped me grow my business. 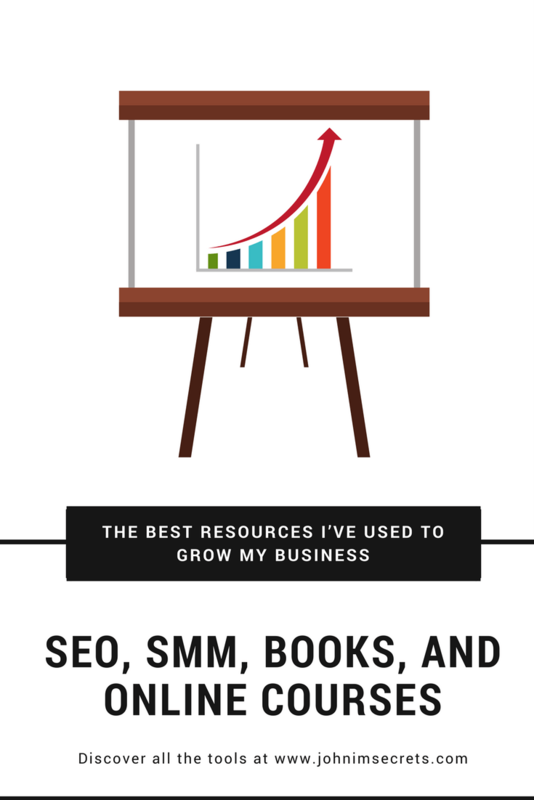 They go from SEO to Social Media tools as well as books, guides, and e-courses. Most of these tools offer free trials or are free to use, and trying them out is a no brainer. Before you continue reading, please take the time to read my affiliate disclaimer. 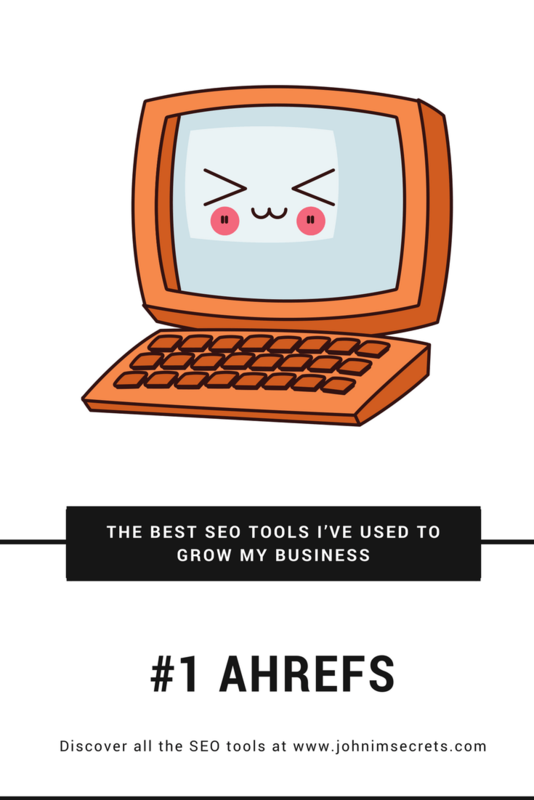 Ahrefs is (arguably) the best backlink analyzing tool out there, this tool is just amazing for link building in general as well as keeping track of your site's backlink profile and health. They've also recently introduced to their many tools a keyword analyzer, which is incredibly useful. 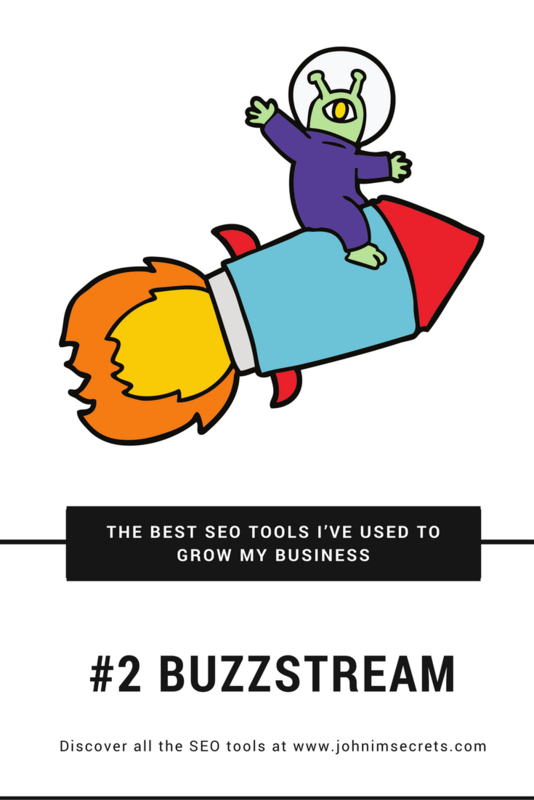 BuzzStream is the best outreach tool I've used, it's so easy to find influencers in any niche thanks to their "Discovery" tool. If you want a great tool to help you with your influencer outreach and link building, this is the tool I use and love. 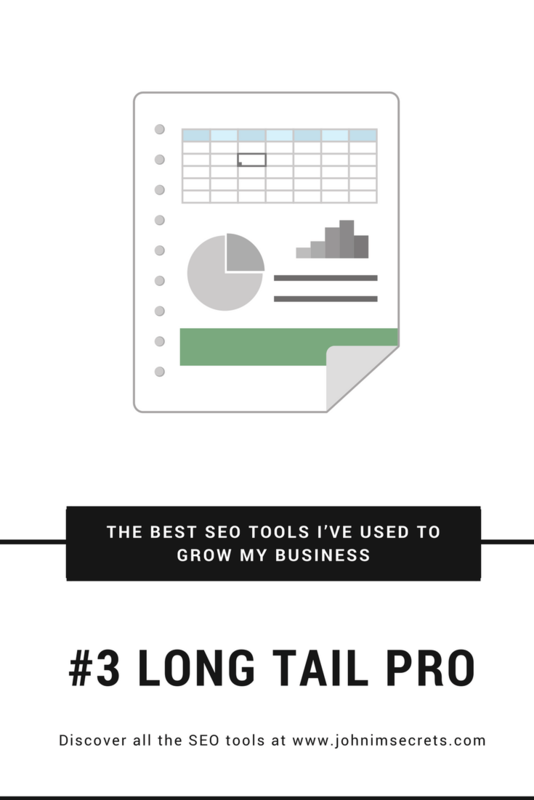 This is one of the best keyword research tools out there. I've been using it for a while now and it has changed the way I approach keyword research. It has helped me a whole lot and saved me a ton of time! I wrote a keyword research guide in case you want to know how I use LTP to find great low competitive keywords. Viral Content Buzz is a community of bloggers and small business owners that help each other out by sharing their content on social media. The platforms supported are Twitter, Facebook, Pinterest, and StumbleUpon. So, if you need help building a following on social media or simply getting extra traffic to your site, this is a great way to do it. Have in mind, though, that this is a heavily monitored community and SPAM is a big NO, NO. Spark is Adobe's newest product. You can create professionally looking videos, posters, and images for your social media accounts. Since it came out, I've used it instead of Canva. It's way faster and easier to create my blog post images. I recommend you try it out, it's free to use. 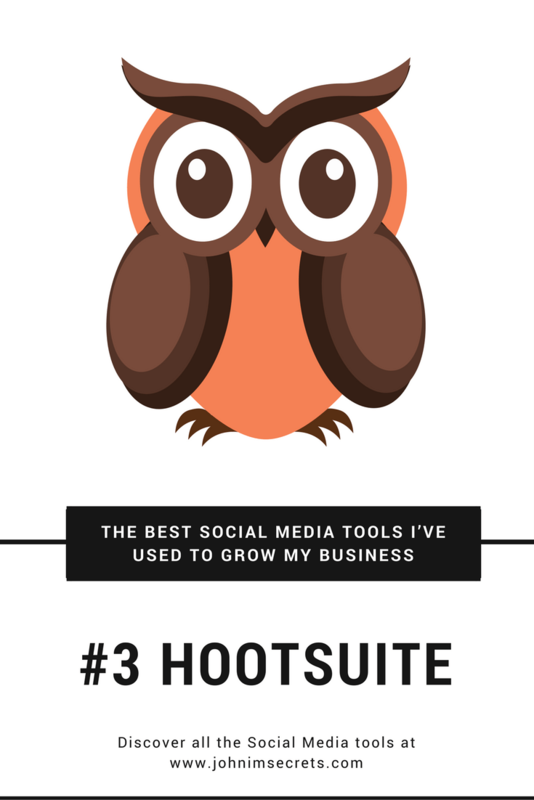 Hootsuite is a social media management system or also known as social media management dashboard where you can manage your Twitter, Facebook, Instagram, LinkedIn, WordPress, and YouTube accounts. You can use their many apps to manage other networks as well. I use it every day to "listen" and engage with my audience and influencers in my niche. This is definitely the best free tool available for that. I wrote a full in-depth review about this tool in case you want to check it out, you can read it here. TweetDeck is, in my opinion, the best free social media dashboard for Twitter management. However, just like with any tool, there are good and bad things about it. 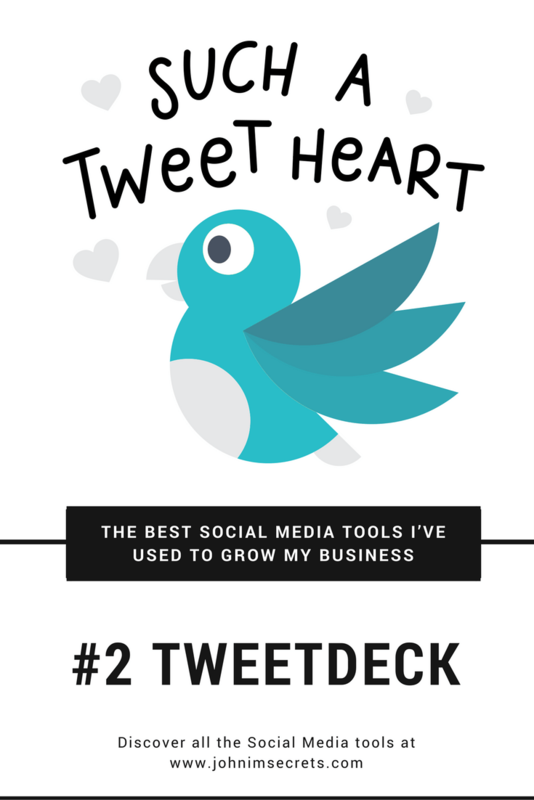 Let me explain: TweetDeck is definitely the tool to use for Twitter chats, hashtag monitoring, some influencer monitoring and overall management of your Twitter account (notifications, mentions, followers, DMs). But, if you want to monitor many influencers at once, interact and get close to them, I highly recommend you use Sprout Social. Buffer is without a doubt the best free scheduling tool available today. Commun.it is like having your personal virtual assistant for your Twitter profile. They monitor your account and tell you when a lot of time has passed since your last interaction with a user and should re-engage. They also offer automated actions and messages (I'd be careful when using them, it can easily become spam). In all honesty, I love this tool. However, if you are not too involved in content marketing, or building a loyal following, I wouldn't recommend it. Later is a great scheduling tool for your Instagram posts ─ you have no idea how much this tool has helped me with my Instagram posting. They offer some analytics and the first 30 posts per month are free. If you want more control over your account and help with your marketing I'd go with Tailwind. Unlike Later, their focus is more on analytics and they give you a lot of data on your posts and hashtags. Tumbling Jazz is the best Tumblr software available to us, this software helps you automate your posts and grow your Tumblr following reliably (this is time-consuming and tedious when you do it manually). Also, the software does things like scheduling, curate content, among other things. 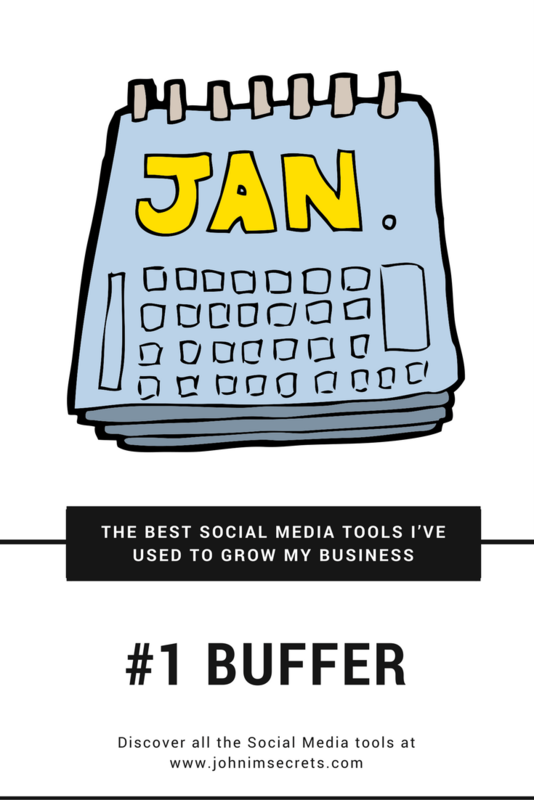 Personally, I believe that Tailwind is the best Pinterest scheduling and analytics tool available today, Buffer has one too but, it's not as powerful. Social Robot PRO is an incredible bookmarker, it gets you high-quality backlinks to your YouTube videos very fast and reliably. I've used it to rank videos in 1-2 days depending on the competition. If you do decide to get it, I recommend you to get their upsell "SocialBase" which they update all the time. SocialBase is a library with more than 1,000 sites you can use to get links for your videos, if you don't get it, you'll only get 50. It will save you a ton of time. I'll create a guide to YouTube SEO and explain how I use it to rank videos. They offer a lead capture plugin, content builder, landing pages creator and the headline tester (the one huge media sites use to find the perfect headline). I recommend you check them out, their products are very easy to use and they have a world of content where they explain how you can use their products. Flywheel is a WordPress hosting and management provider created with designers in mind, they offer free migrations, managed WordPress updates, auto-backups, malware monitoring, built-in caching, among other features. Namecheap is the registrar of my choice, it's really easy to use and has a very user-friendly interface. Besides, the pricing for each domain is really cheap in my opinion. Is a service where you listen to peek performance music. What in the world does peak performance music mean? Well, it's music that has been tweaked in order to help you concentrate and perform better. You can listen to the music on their website or on your iOS or Android device. I wrote a massive article about productivity in case you want to read it, it's called "The Only Productivity Resource You'll Ever Need". There are many online courses available today and even though I haven't taken them all, I've listed only the best ones I've used and feel comfortable endorsing. Scoping for Biz is a Periscope e-course created by Kim Garst from BoomSocial, she's an established social media authority and best-selling author. I recommend you follow her on Twitter and on Periscope, that way, you'll be able to see what she does and learn from her. This is the first e-course I took and I was incredibly lucky to have found it among the hundreds of thousands out there. It was created by Anik Singal and he teaches how to build an email marketing business around your passion. The e-course is really easy to follow and he even tells you how to outsource the stuff you don't know how to do and get it done very inexpensively. Also, he is giving away his book "The Circle of Profit". I've read it and it's incredible, I highly suggest you grab your own copy of the book. It explains the whole business model and his journey with email marketing. The email marketing tools I recommend will depend on where you are at right now. If you are a newbie and don't have a list already, I recommend using Mailchimp, it's free for the first 2,000 subscribers and you can play around with the tool. If you already have a list of at least 1,000 people, I recommend using GetResponse. They have built a great tool for people that want more advanced stuff like segmentation. ConvertKit is arguably the best email marketing tool available today. If you have 2,000 contacts or more, I definitely would go with ConvertKit, this tools is so good, it's a MUST for marketers and bloggers alike. I had the opportunity and pleasure of being part of the launch team for this book and I've got to say that it was great. I had access to the ebook before anyone else and could read it as many times as I wanted. In fact, I still have my copy of the book. It shows you how to properly test your current or next business idea with many examples and actionable advice, in order to know if "it will fly" and not waste time and money. It's really valuable and definitely, a must have on your bookshelf for constant reading. Crush it! is all about finding your passion, building a business around it and cashing in your passion. Gary shares how he got started and has built his businesses. 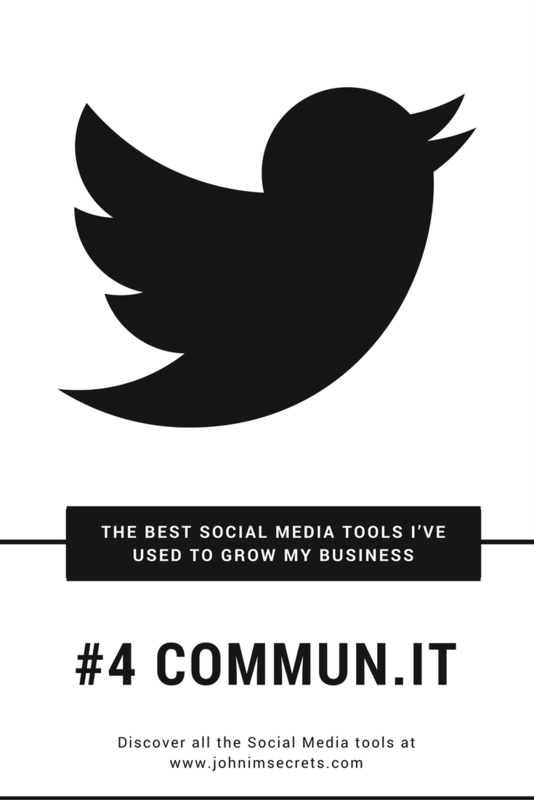 Also, this book gives clear and practical tips in order improve your social media interaction. I highly recommend you read it and keep an open mind while reading it. Click to Access Crush it! The Thank You Economy is told in two parts, the first one being all about engaging with your customers through "incredible heartfelt service and social media". And the second one though case studies illustrating great jabs (engagement) and how they increased conversion rates. You SHOULD read this book. It's so good, you can't pass it by. If you've been following me for a while, you'll notice that I do things very similarly to what Gary shares and I explain in my guides. Jab, jab, jab, Right Hook is an update of everything Gary's team at VaynerMedia and him have learned about successful social media and digital marketing through the work they've done with thousands of start-ups, Fortune 500 companies, many celebrities, and a substantial number of entrepreneurs and small businesses. This book will not only help you understand social media better but, also help you market and build your business with a social approach. To put it in his words: "You should market in the year you live in". In other words, stop marketing like it's 1990. If you want to recommend a tool, book, or e-course let me know in the comment section below. Please understand that I've used all of these products and I recommend them because they are helpful and useful, not because of the commissions I make if you decide to buy something.